From HH's great range of outdoor technical apparel comes this long length classic casual rain jacket - the Niagra (ideal on the Maid of the Mist). This waterproof and breathable rain jacket is for those serious British downpours and rainstorms. 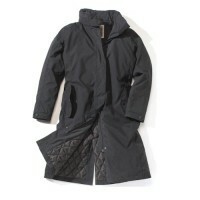 The rain jacket is stylish, long, and constructed with HellyTech® waterproof and breathable fabric. 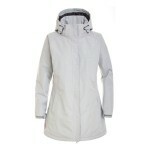 It features a stowaway hood, wide pockets with water resistant zippers, and full length storm flap. 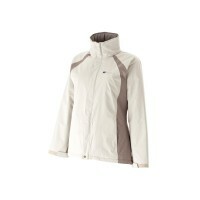 Helly Hansen Niagra Ladies Rain Coat (55366).